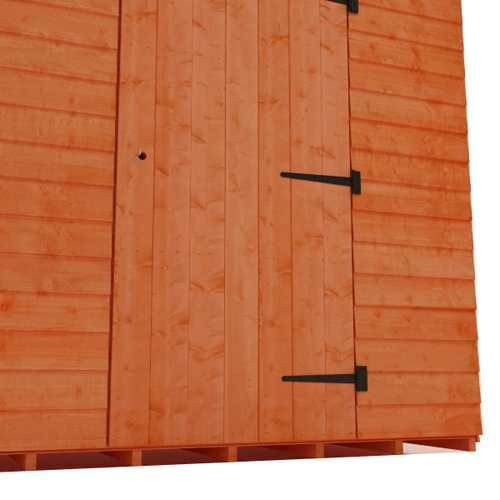 The Tiger Value Overlap Apex Shed provides great storage for all garden equipment at a highly competitive market price. 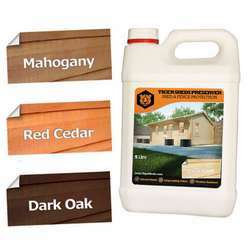 This product is in a league of its own in terms of value for money. Delivered on time, good value and easy to assemble. For the price it is ok , but the manufacturing seems rushed as some of the panels are not put together evenly, I can see through the gaps left by misalignment. There are several let downs but as I said a fair price. 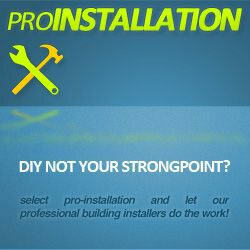 Excellent service from order through to build. Would recommend your company to others. 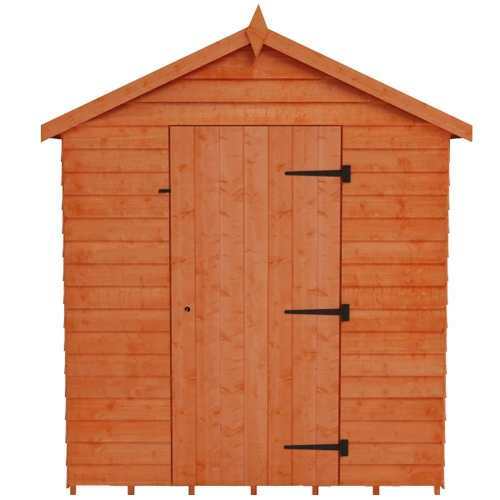 I bought this shed before christmas. 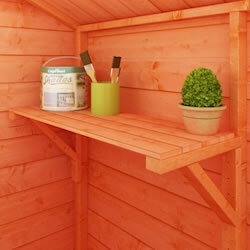 I wanted to wait until the shed had been up for a while before reviewing it. It has been amazing over the winter. It has with stood really strong winds, snow and heavy rain. It has not leaked all. Our things are really dry. It is also really spacious. Did the job i needed it to do. It was worth the little extra money. 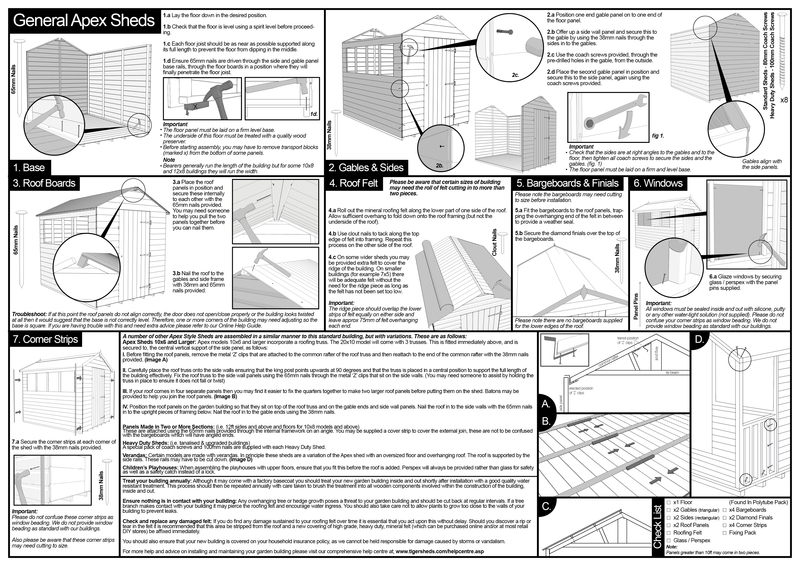 I ordered an 8x6 garden shed . The Web site was easy to use and delivery was right on time . 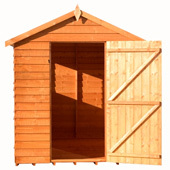 The drive was more than helpful and the shed's design and quality has exceeded my expectations for the price I paid . One grateful customer . Thanks . Arrived when they said it would. Easy to put up as I did it on my own. Would buy from your company again. 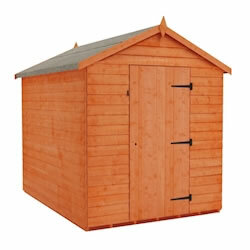 The Tiger Value Overlap Apex Shed provides great storage for all garden equipment at a highly competitive market price. 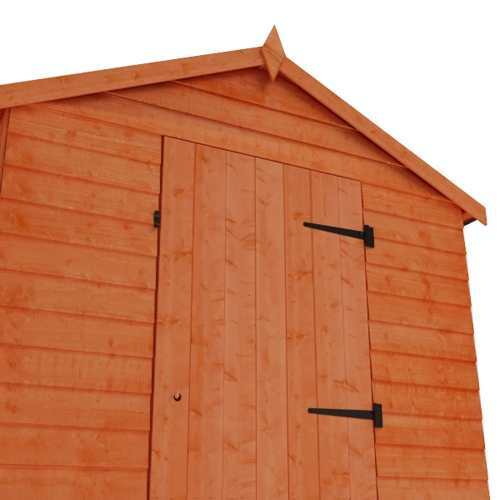 This overlap apex shed is in a league of its own in terms of value for money. With no windows for extra security it really is the best buy you’ll make this year. 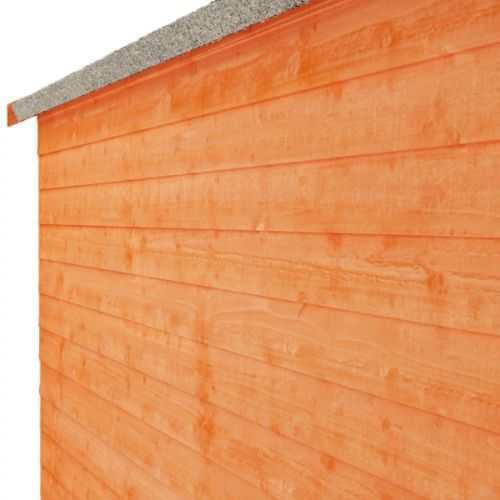 The apex roof style provides an increased internal height giving enough room for most adults to stand comfortably inside without the need to stoop. 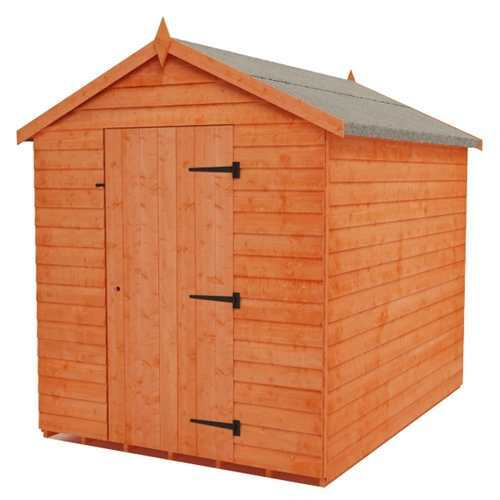 Its classic design and striking features make this overlap shed an ideal storage space for any garden.